The team gathered at a new Adventure Caffè. 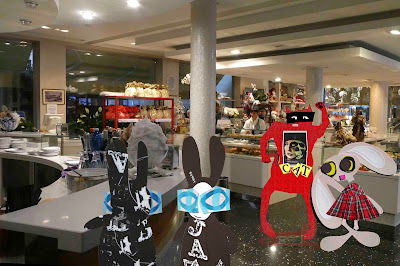 The Wabbit headed off to locate a suitable table while the others chattered, but he turned when Skratch appeared. "Well Skratch. What was that for a sort of Adventure we just had?" Skratch raised a paw in greeting. "Wabbit, there are many types of adventures involving doubles, all quite different." Lapinette pirouetted and waved. "That doesn't answer the question." Wabsworth had been reading. 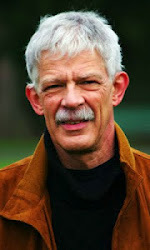 "It could be said to be a reflection double rather than a narrative double." "Where did you find that argument, Wabsworth?" asked the Wabbit. "On the Internet," smiled Wabsworth. Everyone groaned long and hard, including Wabsworth. "The mythic twin is as old as Zoroaster," said Lapinette. "Good and evil locked in endless battle," agreed Skratch. "So how old is Zoroaster?" asked the Wabbit. "No one can agree," grinned Lapinette. Skratch ignored this distraction and meowed. "The mythic twin is normally predicated upon a basic antinomy, but in this case we must look - not to Zoroaster - but to Lacan." The Wabbit was relieved because now he was on familiar territory. 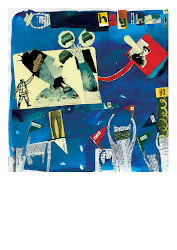 "In relations between the imaginary and symbolic, the double hollows out the real." "The absence of the other," added Lapinette with a nod. "Unspoken and unseen," shrugged Wabsworth.